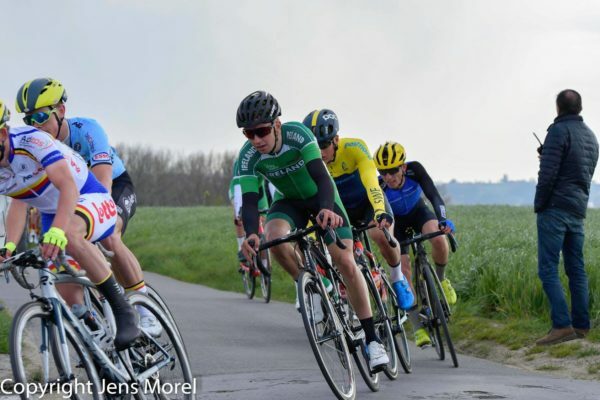 Darragh O’Mahony was Ireland’s best finisher at the U23 Tour of Flanders yesterday, placing 29th and just ten seconds off the winner. O’Mahony was in the group sprinting for victory when a crash deep into the final kilometre ruined his chances. While he didn’t fall, he was caught behind it; being forced to stall almost to a halt to get around the fallers. With just a few hundred metres remaining, there was no time to get back in the game. And as O’Mahony rode up to the finish line, one of the race’s official cars then stopped dangerously just ahead of him. It was a disappointing end to a strong race for him and Ireland as Dillon Corkery had spent the first half of the Nations Cup event in the breakaway. He broke clear shortly after the start with Ben Hamilton of New Zealand and Matis Louvel from France. They combined well and their gap peaked at 4:30 with about 50km raced in the 167.5km race. However, when the peloton behind began to get organised, the lead quickly began to be trimmed back. With 100km remaining, Corkery and his breakaway companions were still leading, but now the gap was back to just under three minutes. The Irish rider, a second-year U23 and the Irish elite criterium champion looked very strong up front. And back in the bunch the Irish jerseys were mingling on the front of the peloton, militating against the chase effort. On the Muur van Geraardsbergen, averaging nine per cent and topping out at just over 19 per cent, with 95km remaining Hamilton looked vulnerable as Corkery pressed. However, it was Louvel who pressed ahead of the other two on the hardest section. The Danes were active in the chase behind and when Corkery and Hamilton were caught, with about 85km to race; Louvel remained out front in a new five-man escape. While a number of groups would go clear, Team GB’s Tim Pidcock one of the main aggressors, a reduced peloton of about 45 emerged at the front coming into the closing stages. O’Mahony was the sole Irish rider in that group, though his chances went by the wayside because of the late crash; Pidcock also falling and emerging worst of all. Having ridden very strongly all race, the Danes emerged with victory; Andreas Nielsen just about edging out Cedric Beullens of Belgium and Britain’s Jake Stewart. Corkery paid for his efforts and was a non-finisher, as were Marc Heaney, Michael O’Loughlin and Ben Healy. Aside from O’Mahony, Conn McDunphy was on the only other Irish finisher; placing 66th in a group 5:38 down. He had an eventful day and did well to make it to the finish. After a puncture after about 100km, another rider rode into him as he stopped for a wheel change. 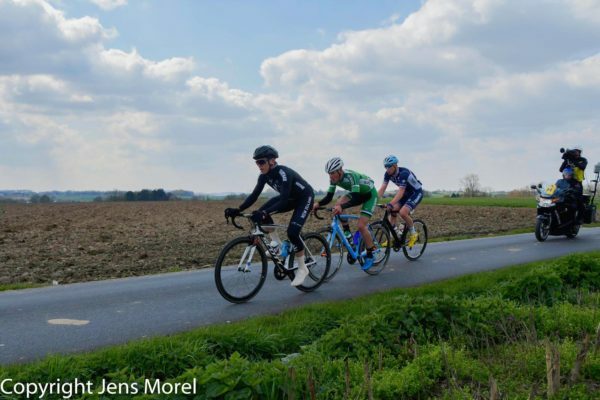 However, he fought back on and regained contact with what was left of the peloton just before the Kwaremont. After he got over the climb in the much reduced peloton, he got caught up in another crash which split the field in two, before another puncture with approximately 10km remaining.